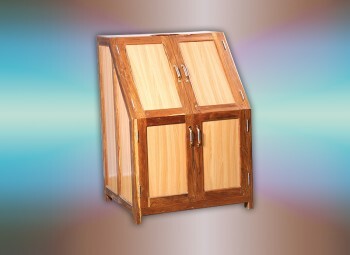 Steam bath machine sitting type wooden frame with hylam sheet with FRP inner lining and copper tube inner connection with height adjustable stool. � 2013 Poornimas. All Rights Reserved.